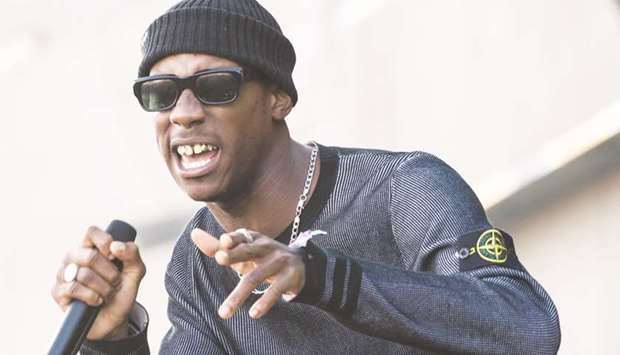 London rapper Octavian, who yesterday won the prestigious BBC Music Sound of 2019 award, said he hoped his success would inspire other youth who were homeless. “A few years ago I was sleeping between tube stations, the streets and sofa-surfing. Everyone’s situation is different,” Octavian told the Thomson Reuters Foundation by e-mail. “I hope...the progression I’ve had in my career so far gives hope to homeless people that things can change,” said the 23-year-old, whose full name is Octavian Oliver Godji. The award has previously been won by artists such as Adele, 50 Cent and Sam Smith. Octavian became homeless at 14, and spent years on the streets and sofa-surfing, he told the BBC, avoiding drugs, unable at times to afford even a bus ticket - but always involved in music. News of his win was welcomed by Centrepoint, a British homelessness charity. “Octavian winning the BBC Music’s Sound of 2019 shows that if homeless young people get the support they need they can go on to achieve their potential,” Paul Noblet of Centrepoint told the Thomson Reuters Foundation. The charity estimates about 103,000 young people asked for help from their local councils last year because they were homeless or at risk of homelessness. Octavian told the BBC that he was often shunned, unable to afford food or clothes, and had fought with his mother, teachers and the authorities. “I was just a bad kid. I didn’t know how to harness my emotions,” he said, adding that finding his craft had saved him. The artist with Angolan heritage, and who counts Drake among his fans, blended house, grime and dancehall to catch the attention of the judges with his first full-length mixtape ‘Spaceman’ released last year. “Octavian is not in any genre - he is absolutely in his own lane,” said radio DJ Benji B.
Octavian is not the first celebrity to have fallen on hard times before making his name: musician Ed Sheeran said he slept outside Buckingham Palace and on London underground trains, while actors Halle Berry and James Bond star Daniel Craig spent time in shelters and on park benches. A lack of affordable housing has led to a growth in homelessness each year in Britain, housing charities say, with 80,000 families in temporary accommodation such as hostels, including more than 120,000 children, government data shows. Centrepoint said the needs of homeless young people differed from those of homeless adults, with thousands sleeping rough or on sofas, on night buses or with strangers. Family breakdowns, violence, poverty and mental health were common issues, the charity said, with young homeless people susceptible to being drawn into gang-related problems or dropping out of education.